Queen Victoria Market has been added to your itinerary. 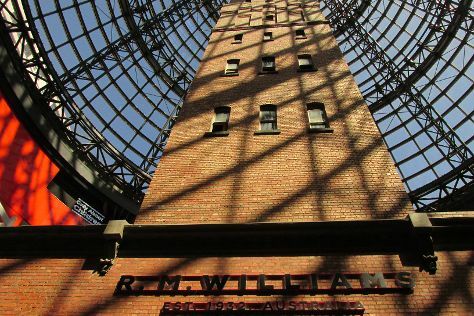 Head to Melbourne Central and Melbourne's GPO - Shopping Centrefor some retail therapy. There's lots more to do: stroll around Royal Botanic Gardens, take in panoramic vistas at Eureka Skydeck 88, admire nature's wide array of creatures at Melbourne Zoo, and look for gifts at Ambiance Gifts. To see ratings, reviews, maps, and other tourist information, go to the Melbourne day trip app . If you are flying in from Malaysia, the closest major airport is Melbourne International Airport. In May, plan for daily highs up to 20°C, and evening lows to 9°C. Finish your sightseeing early on the 15th (Wed) to allow enough time to travel back home.